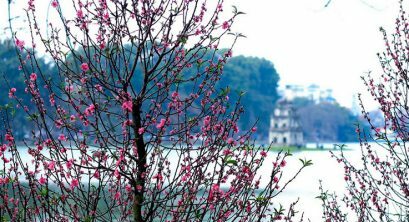 It is often said that the first month of the lunar calendar is for celebration, therefore, it is not exaggerated to say that spring is the season of thousand festivals. 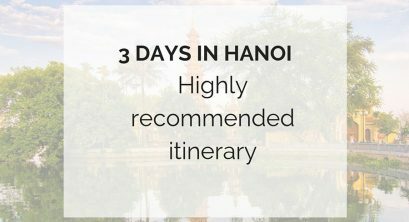 In this post, we would like to give travelers, especially Netherlands citizens, a list of important Spring festivals to attend in Vietnam. 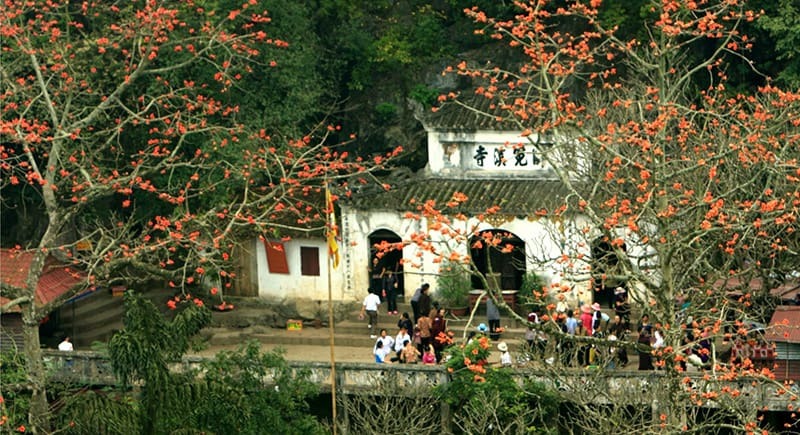 Located in Hanoi’s suburban of My Duc District, Huong Pagoda is a vast complex of temples and shrines built into the Huong Tich mountain system with 500-year-old history. 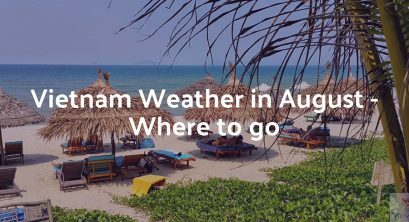 The annual three-month festival is the longest and biggest festival, attracting thousands of tourists both inside and outside country each year. 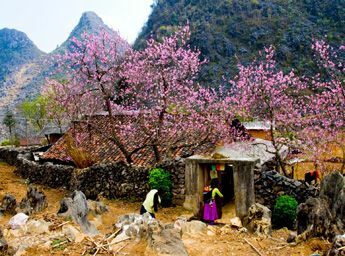 The festival opens from the 6th day of the first lunar month until the end of the third month. 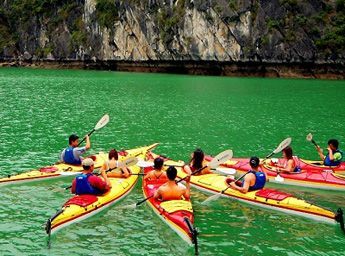 It is best to book a boat tour to entirely enjoy the beauty of vibrant landscape or visitors can also take part in rowing, mountain climbing and singing contests as well. 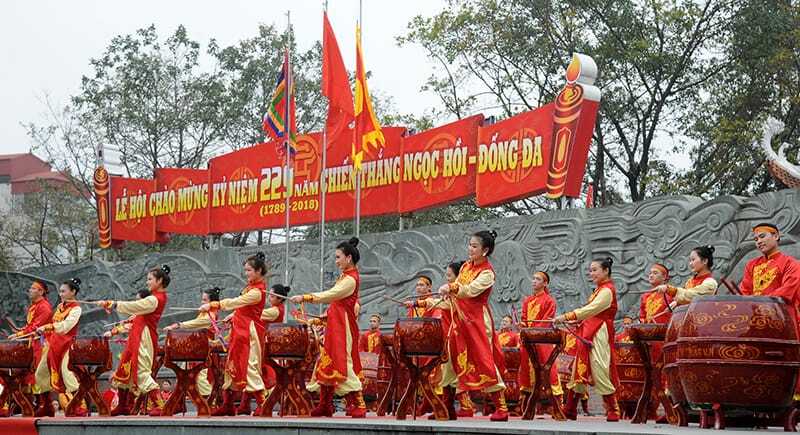 Open annually on the 5th day of the first lunar month, Dong Da Mound festival is celebrated to cherish the victory of King Quang Trung to Chinese invaders. In 19th century, the villagers in Nam Dong and Thinh Quang village together built a pagoda in front of the mound, which is now known as Dong Quang Pagoda. 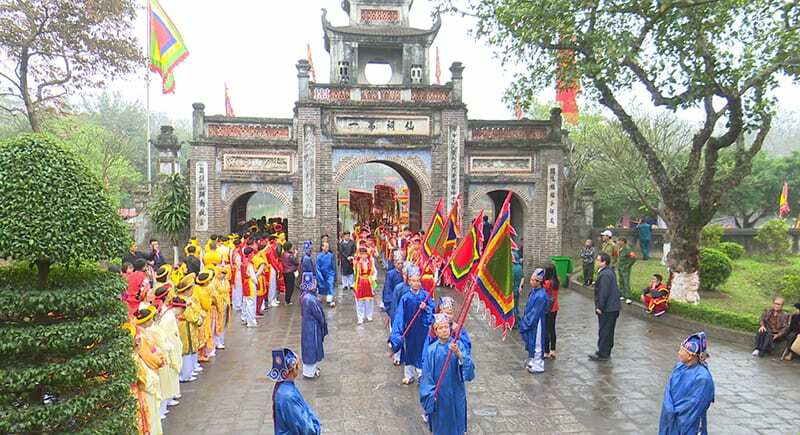 During the festival, Dong Quang Pagoda offers some religious rites and make food to offer the souls Chinese enemy who was killed in the battle as a traditional good deed of Vietnamese people. It is also the day when people show their respect for national heroes who had served to protect Vietnamese land. As a part of rituals, people will gather, remake the battle and finish by a march to Thang Long Citadel. 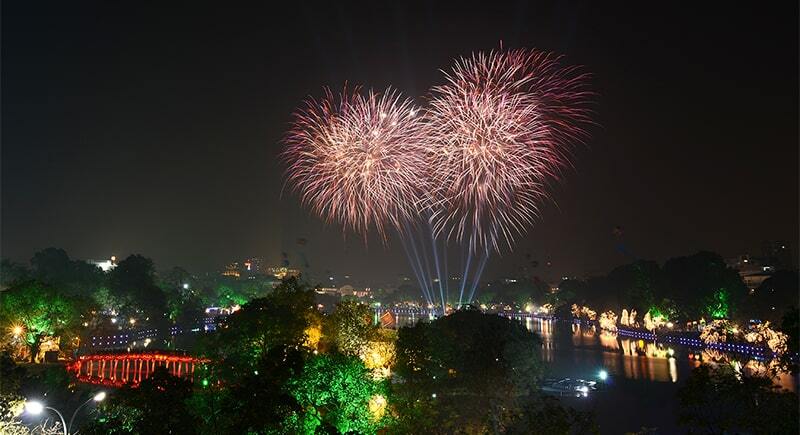 This festival is held on the 6th day of the first lunar month and is celebrated in many places in Hanoi but the 2 most famous are festivals at Phu Dong Temple in Gia Lam District and Soc Temple in Soc Son District. The festival derived from a fairy tale about Saint Giong – one of Vietnam’s Four Immortals. Legend has it that the 3-year-old boy Giong grew into a giant hero, riding on an iron horse to defeat invaders with bamboo tree. The special thing about this festival is the artificial bamboo flowers which will be given to local people at the end of festivals in hope of a lucky and prosperous new year. 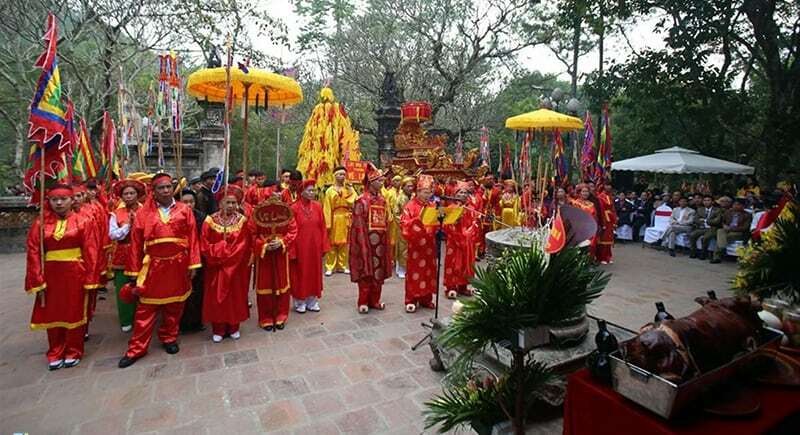 Opening from 6th to 16th day of the first lunar month at Den Thuong (Upper Temple) in present-day Dong Anh District, the festival worships King An Duong Vuong, father of Mi Chau princess, who ruled over the kingdom of Au Lac from 257 to 207 BC. Apart from religious rituals, there are a lot of traditional games that visitors can take part in such as wrestling, bag jumping, tug of war, etc. 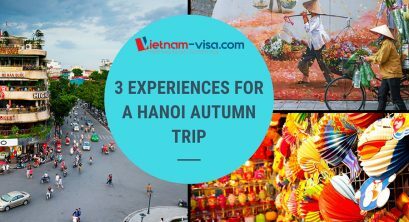 All above-mentioned festivals open in spring so why don’t you book a flight to Hanoi to share the atmosphere with Vietnamese people and understand their culture? But first, please be noticed that Netherlands citizens are required to apply for a Vietnam visa. 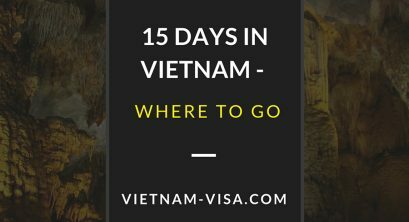 For those who intend to visit Vietnam by air, VoA or Vietnam Visa on Arrival is preferable to the traditional visa at Embassy as it can help applicants save both time and money by processing totally online before getting visa stamped at Vietnam arrival airports. 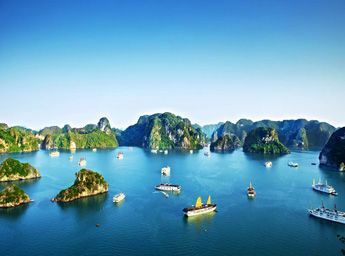 Please check out Vietnam visa requirement for the Netherlands before your trip to make sure everything is smooth. 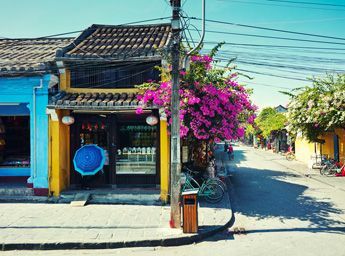 This article will give you more information regarding Vietnam e-visa (electronic visa). 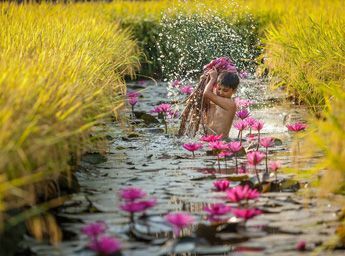 Welcome to Vietnam and hope you’ll enjoy your time here in unique Spring festivals.